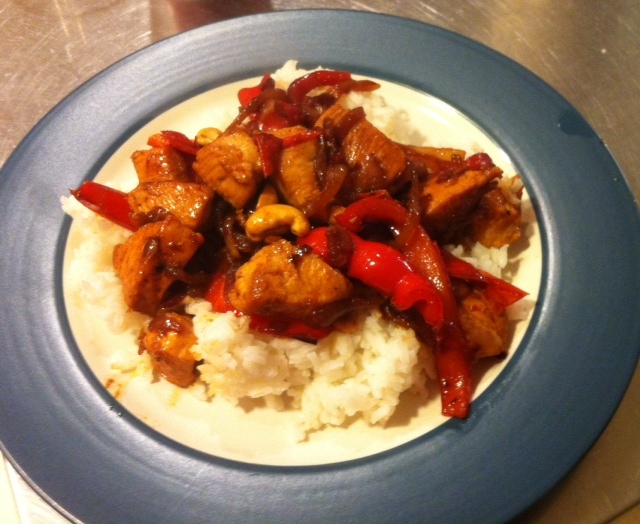 Chicken with Peppers, Onions and Cashews – Comfort by the bowl! This is my idea of comfort food. The onions and peppers are cooked tender so they are almost sweet and create a delicious pan sauce to coat the chicken and rice. The chicken is browned in the same pan and picks up the caramelized bits. The cashews soften as they warm. I serve this on piping hot white rice, in a bowl. It’s such a quick and easy meal that usually provides at least one leftover bowl to enjoy. When the kids were all younger and living at home, I made this often. Everything you need in one bowl! I even made this several times when we lost power since it’s so easy to cook on the stovetop by lantern! The beauty of this “recipe” is there is no recipe. I use some skinless, boneless chicken breasts. Life is too short to fight with chicken skin and bones. Splurge! I usually use a mixture of one each of red and yellow pepper. This is not a recipe for green peppers. They are too strong flavored and will overpower the dish. The beauty of this dish is you can use as much or as little of an ingredient. I used three chicken breasts for the two of us because I knew I would get another meal or so out of this one. That’s my kind of planning! Use more onion if you LOVE onions. It’s about cooking what you like to eat. Cut the top off the peppers and rinse them after pulling out the core and seeds. Slice the peppers in half, long ways. Then slice the pepper halves into thin pieces. They will cook faster if they are thin. If you don’t have the knife skills to slice thin, they will still taste delicious. Put peppers in bowl. Cut the onion from root to tip. Peel off skin from each half. Put the flat side down on a cutting board and slice your onions thinly. It’s so easy to cut them when they are not rolling around! Put onions in bowl with peppers. Heat a large skillet to medium high. Once a drop of water rolls around and evaporates, the pan is ready to be coated with olive oil. 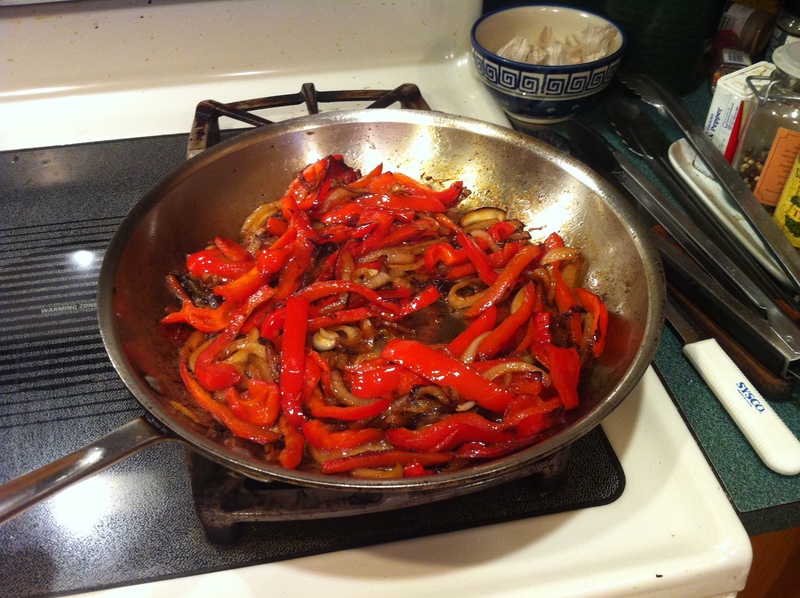 When the oil I is shimmering it’s time to add the onions and peppers to the pan. Sauté them until they start to brown and soften. Season them gently with salt. It helps draw out the water. Once they are cooked as golden and soft as you like, transfer them to a clean bowl. It’s important to season as you cook. You don’t want to add too much salt or pepper at the end, so adding a little as you cook helps control the amount of salt you use. Put a little more olive oil in the pan and add about 1/3 of the chicken. Sprinkle the chicken with a few pinches of salt. You want to let them brown. Don’t keep stirring them. Once the bottom of the chicken pieces are browned, then flip them. You want the chicken cooked through. This takes a while since I like to do small batches so the chicken browns and not steams. I usually start the rice when I start cooking the chicken. 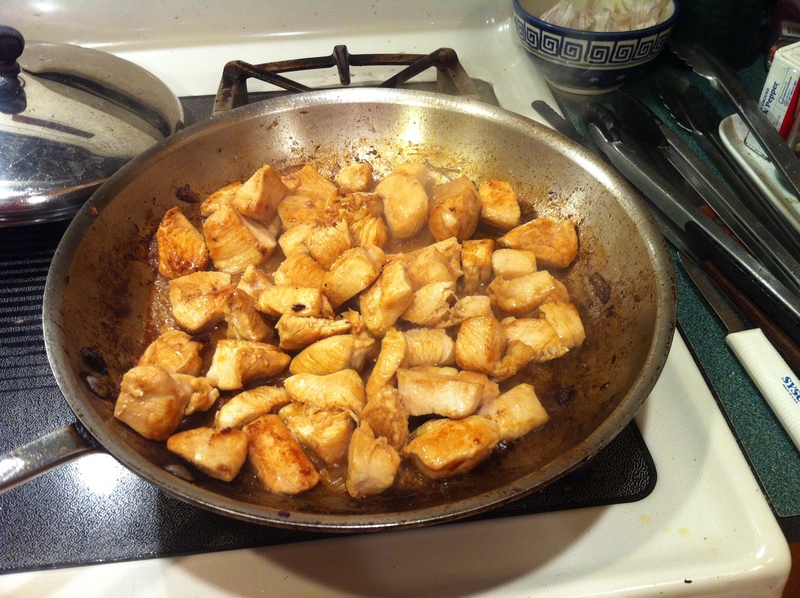 Once this batch is browned, put it in a clean bowl and toss more chicken into the pan. Make sure you use clean bowls and spoons/spatulas as you cook. You don’t want to contaminate cooked food with a spoon used with raw chicken. Once all the chicken is cooked, add the peppers and onions back in and to finish cooking. 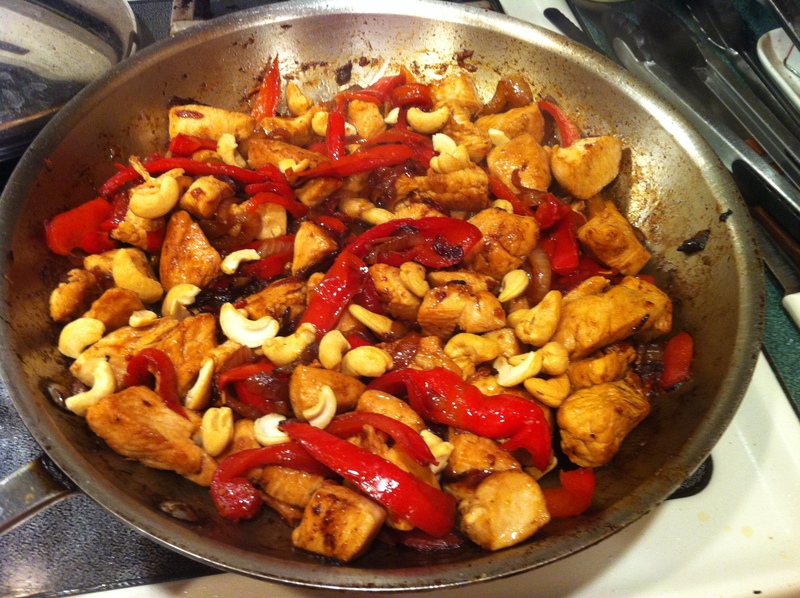 Add the cashews into the pan and let cook for a few minutes. Cut into a piece of chicken to make sure it’s done. 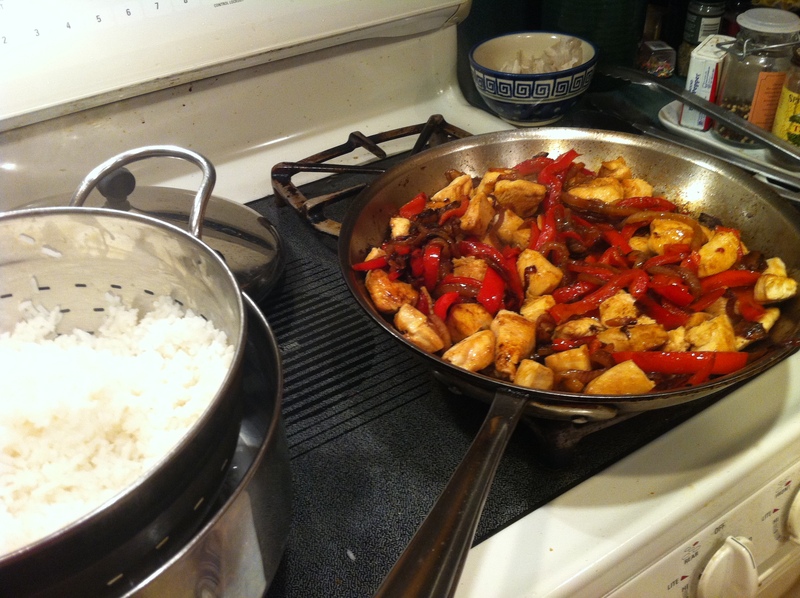 Serve the chicken and peppers, onions and cashews over rice. Yesterday I celebrated Fall by making this bread. The house smelled wonderful. 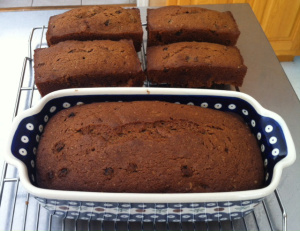 I find this quick bread tastes better after chilling in the fridge. I hope you try it. 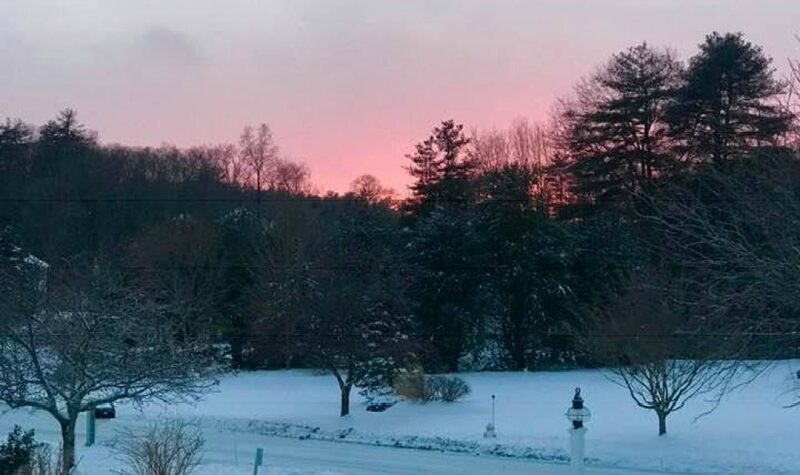 It’s been a family favorite for years!